So much of our time is spent with others like ourselves – they talk like us, they think like us, they look like us. We know there are some strange people around but they are far away and not in our lives. We assume everyone is mostly like ourselves. In fact, very different cultural values surround us. 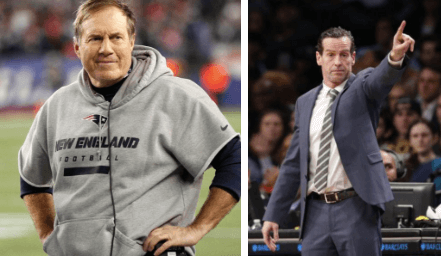 Here are Patriots Coach Bill Belichick and NY Nets Coach Kenny Atkinson in their day job uniforms. Here is the scene when I was in a bar in Montana and another in a bar in Cambridge, Mass. Everyone is dressed to conform with the value expectations of their community. That is how most of us are. As the leader of your organization, your job is to be clear about what your team must accomplish and expectations of each team member. But you also must acknowledge and validate the differences among the team members and build on their strengths.